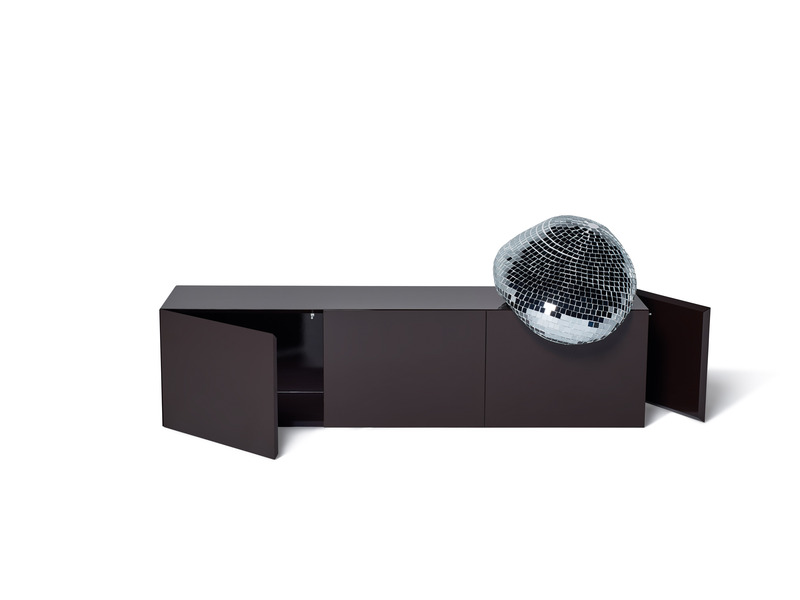 After Party is a series of storage units that reinterprets the world of clubbing in a unique and ironic way. 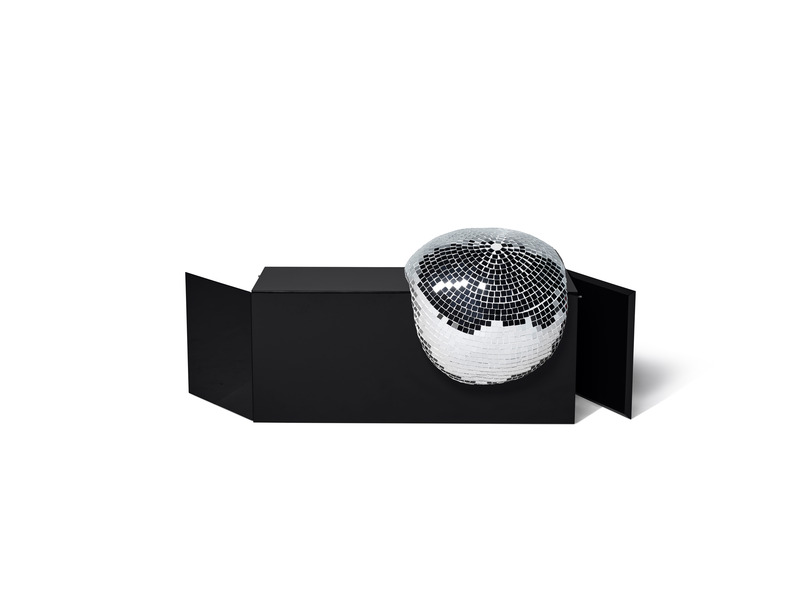 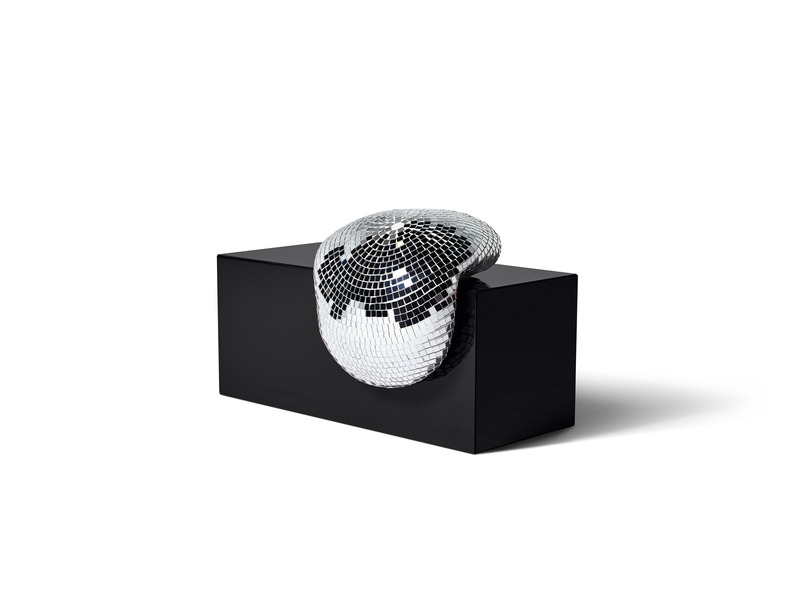 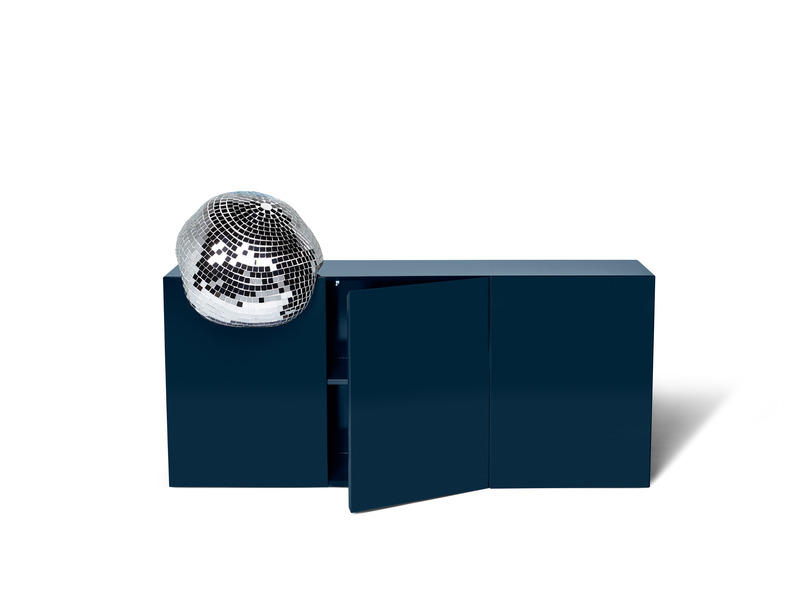 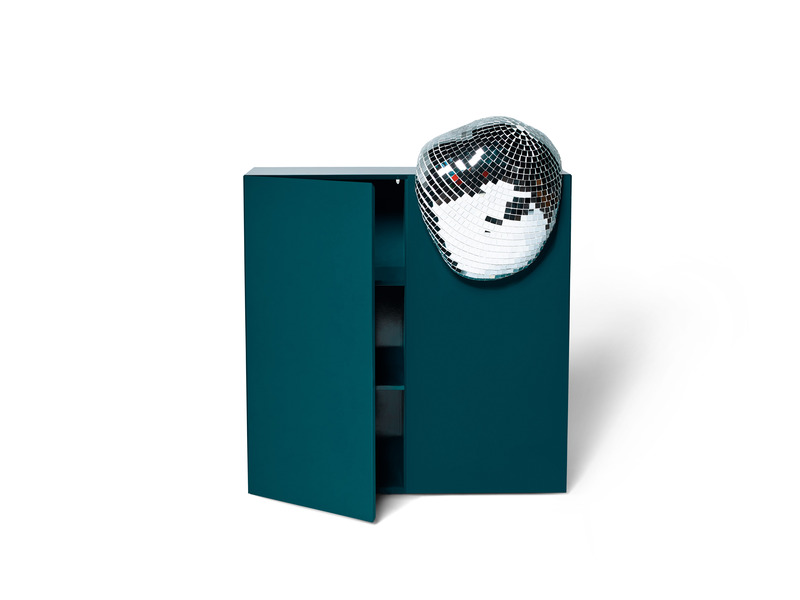 The emblematic disco ball in reflecting mirrors, a not-to-be-missed icon of the night world, acquires a new character, transforming itself into the characterizing element of the three cabinets and the two low tables of different dimensions that make up the collection. 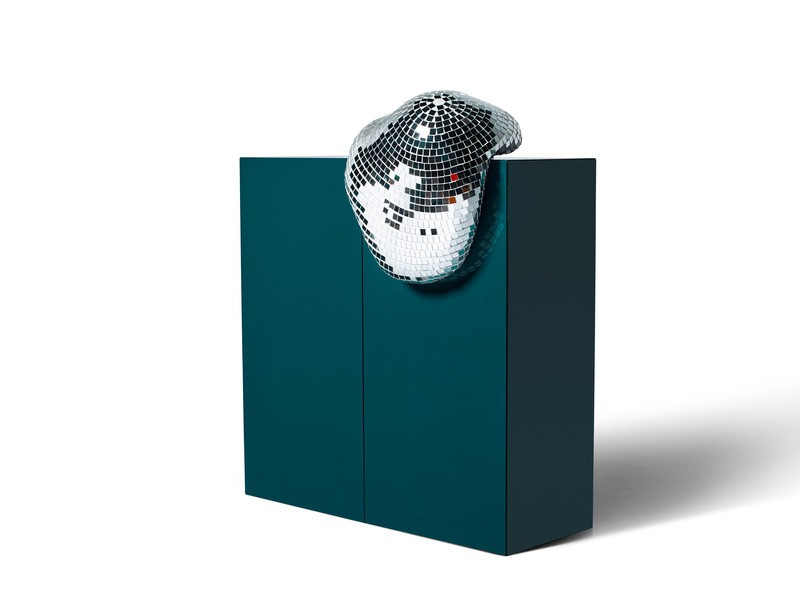 The lacquered wooden structure, available in a palette of bright and reflective colors, is combined with the amorphous, almost liquefied forms of the sphere, whose surface consists of two-centi- meter mirror tiles applied one by one by hand as in a Byzantine mosaic. 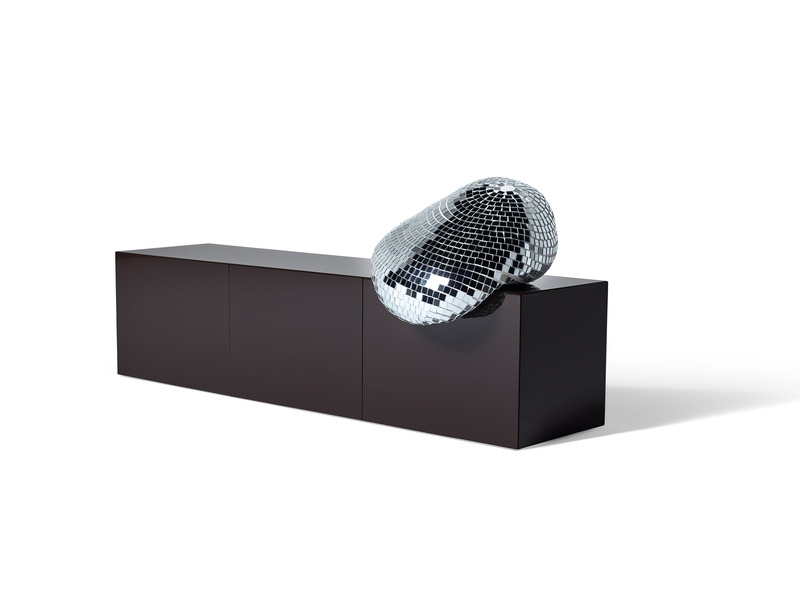 Elemental shapes light up in this way thanks to a radical touch: the result is a bright and original monolithic block with extremely contemporary reminiscences and practical but unexpected openings.